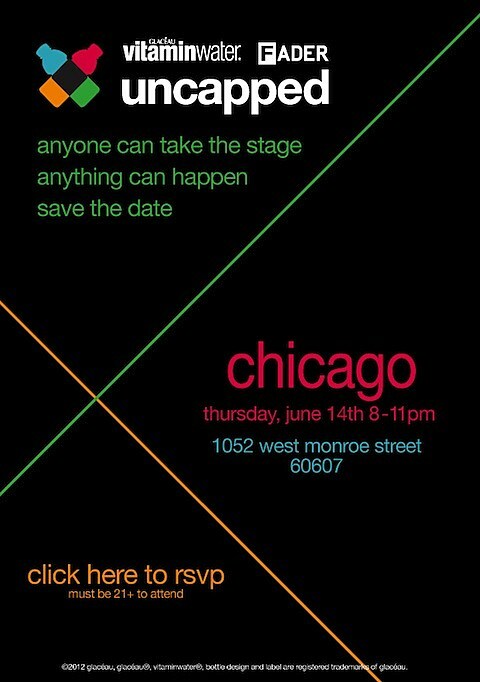 FADER and vitaminwater are hosting an Uncapped event in Chicago on Thursday night (6/14) at 8PM. The address, as seen on the flyer above, is 1052 W. Monroe St.. RSVP for admission (21+). As you may recall, The Dead Weather played something similar in 2010.
Who do you think is playing?